The Bakery Atlanta and Georgia Artists for Progress are teaming up to present “Turn Up / Turn Out” on Saturday, November 3, 2018 at The Bakery in Southwest Atlanta (). 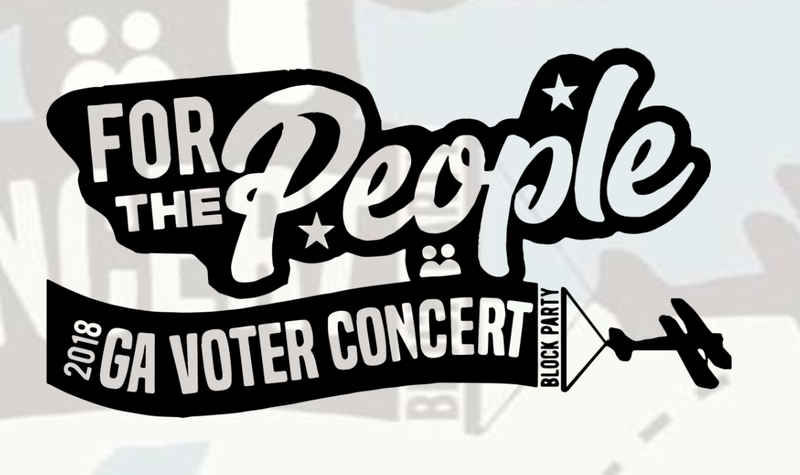 Featuring musical performances by Little Tybee, Linqua Franca, LONER, along with art and speaking engagements by local politicians, “Turn Up / Turn Out” celebrates civic engagement and encourages voter participation. 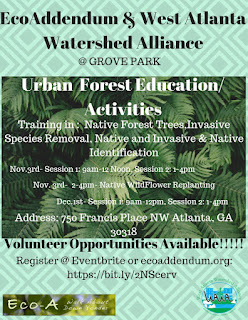 EcoAddendum : Urban Forest Restoration Education/ Restoration Activities & Volunteer Days. 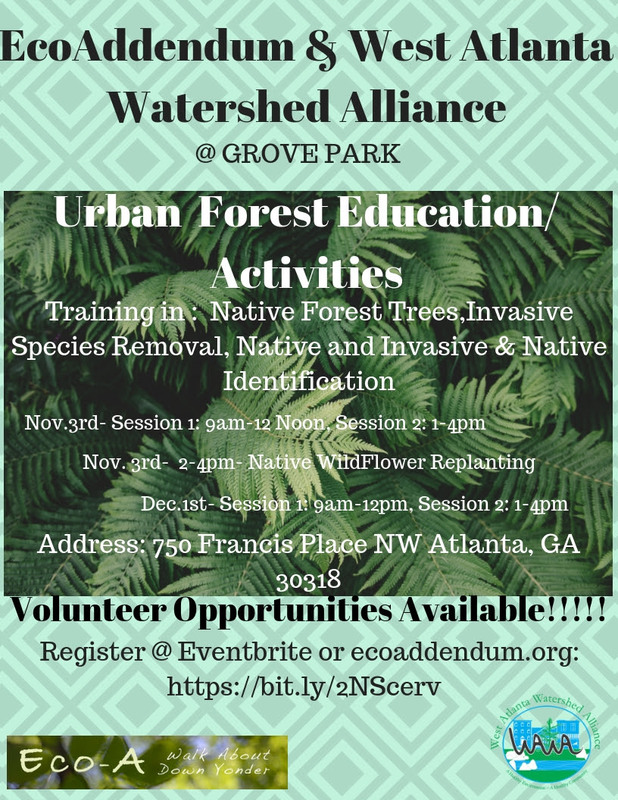 Projects are to educate, engage, and create opportunities of volunteering in learning techniques, and practices of Native and Invasive Species. Free movie Nov. 2: "Gurumbé: Afro-Andalusian Memories"
The Baton Foundation, Inc., in partnership with the Auburn Avenue Research Library on African American Culture and History and A Través, will host a film screening and facilitated discussion about Africa’s influence on the Iberian Peninsula and the music of Andalusia (southern Spain) - flamenco. This program is free and open to the public. There's a free concert for voters being held at the Murphy Park Fairgrounds. 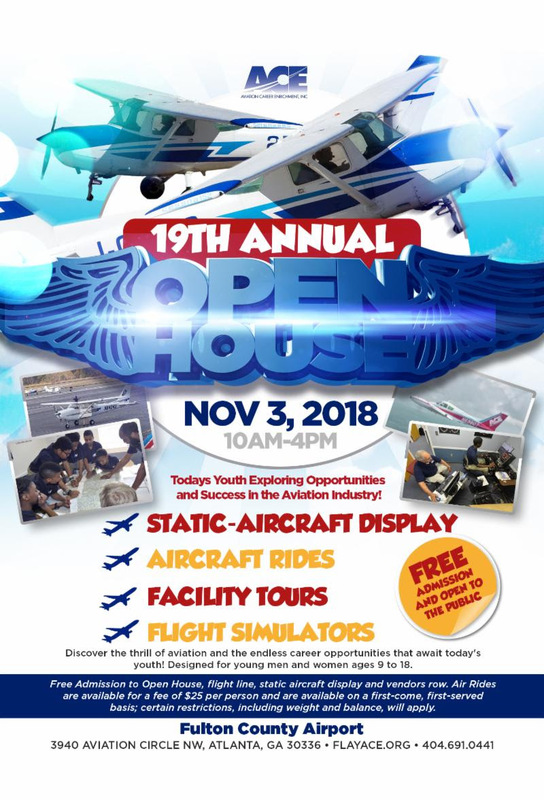 Admission is free and open to the public with RSVP. For more information, go to http://2018forthepeople.com. 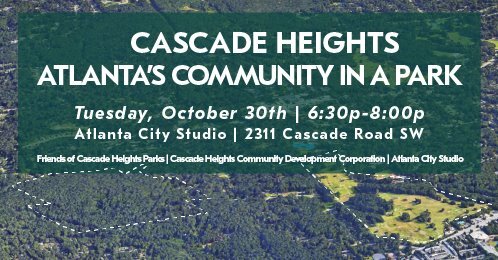 The Atlanta Planning Advisory Board (APAB), along with Hammonds House and NPU-T, invites Atlanta metropolitan area citizens to a Meet & Greet and Fireside Chats with their statewide candidates in the November 6 General election. During the fireside chats, attendees will have an opportunity to have face to face conversations with candidates to hear their platforms and learn how they plan to enhance Georgia’s future. Understand and get involved with APAB by volunteering, board appointments, partnerships, and guest speaker opportunities. The event is free and open to the public (although a $10 donation to the hosting nonprofit, Hammonds House, is suggested https://www.hammondshouse.org/). Open to the public. Complimentary refreshments provided. Space is limited so RSVP today at http://evite.me/JMM2FW3BbM. 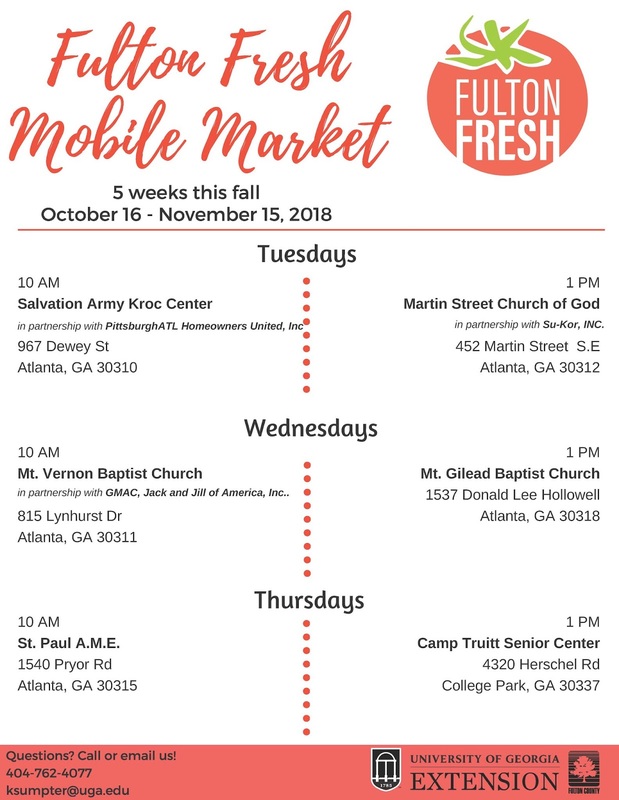 The Fulton Fresh Mobile Market was created to educate residents living in communities designated as “food deserts” on the importance of fresh and in-season produce. Every week, attendees will participate in a 30 minute UGA Extension SNAP-Ed nutrition education food demonstration and then be provided with a free bag of in-season produce from our mobile market. 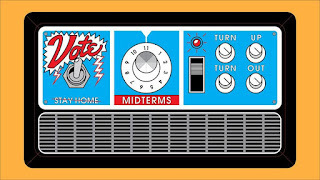 *Huge* Oct. NPU-S Meeting on Thursday - with Hawks tickets! Normally, the announcement for the NPU-S General Meeting is pretty short and to the point, and we'll lead with "just the facts", but you'll want to read to the end of this announcement! Free drawing at the end for two tickets to the Oct. 27 Hawks/Bulls game! 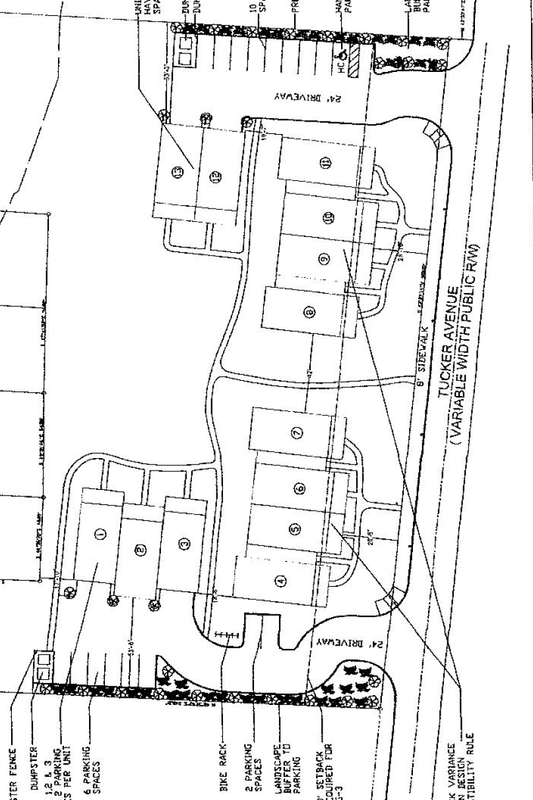 V-18-284 and V-18-285 - these two items are tied together, a reduction of required parking for adjacent lots at 1086 and 1100 Murphy. Z-18-52 and Z-18-53. The long, long awaited Fort McPherson rezoning. There have been many meetings, and many presentations, and now we've come to the vote. 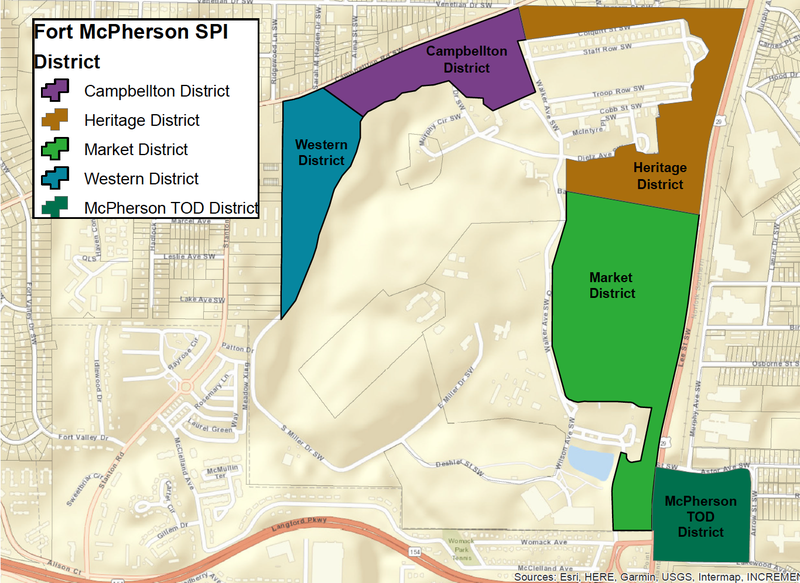 This splits the parts of Ft. Mac that was not purchased by Tyler Perry Studios into five zones, each with a different character, wrapping around Lee Street and Campbellton. Assuming all goes to plan, it's difficult to overstate the potential impact of this redevelopment on our NPU and the entire Southwest quadrant. Z-18-52 is the main course; Z-18-53 has to do with signage within the Ft. Mac area. Zooming out: these are mostly more assorted fixes to make Atlanta less suburban and more urban: adding provisions to shrink parking and loading requirements that eat up real estate for cars, allowing accessory units and multiplex housing, and creating more mixed-use areas. Much of the grand vision can be seen at http://atlcitydesign.com/. 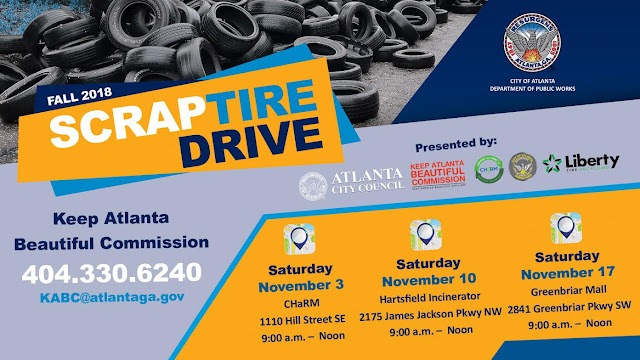 This will all be capped off with a drawing for a pair of tickets to the October 27th Hawks/Bulls game at the newly refurbished State Farm (formerly Philips) Arena! This is a very ambitious agenda; any one of the last three voting items could, by itself, eat up hours of Q&A and debate. In the interest of time, debate on voting items will be limited. None of the Z-18 items are being sprung on the community; they have been presented multiple times at NPU meetings, neighborhood association meetings, and elsewhere. All of this documentation is being provided to help those who may have missed previous presentations, but we will not be using the NPU time to explore the issues in depth for those that have missed it so far. If you have questions or comments about any of this, feel free to email the Chair, Nick Hess, at chair@npu-s.org, or call (404) 890-0089. Alternately, you can reach out to Jordan Dowdy, the Planner assigned to NPU-S, at jdowdy@AtlantaGa.Gov or call (404) 546-6333. They'll be happy to go into detail about any of the items. If you've made it all the way to the end of this message, thank you. We're hoping for a good turnout and smooth sailing - see you there! The Atlanta Police Department has launched an online system that allows the public to submit reports about a variety of crimes at its convenience, with a goal of helping to free up officer resources and increasing the accuracy of incidents reported to police. Please keep in mind, you can still call 9-1-1 and have an officer respond to your location or file a police report at your local police precinct based on your needs. To file an online police report for a crime in the City of Atlanta, go to http://www.atlantapd.org/services/online-reporting. Experience is not required. All training will be provided, and DHL offers a flexible shift schedule. The facility provides a full-service cafeteria, full-size basketball courts, a fitness center, soccer field and private shower facilities with clean locker rooms. For more information, contact the WorkSource Fulton Adamsville office at 404.613.6381. For those who may need computer access, WorkSource Fulton Adamsville is located within the Adamsville Regional Health Center at 3700 Martin Luther King Jr. Drive, Atlanta, GA.
On Saturday, October 6, 2018, Emmanuel Lutheran Church will host a “Family Day of Fun & Celebration” from 12 p.m. – 6 p.m in collaboration with Fulton County Commissioner Hall. 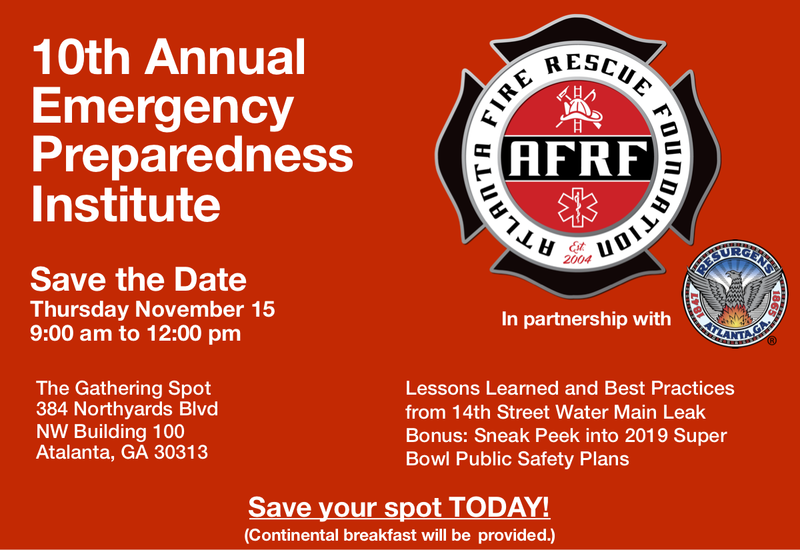 The free event at 3050 Cascade Road SW, Atlanta, GA 30311 will feature entertainment, information about Fulton County Services, a kids’ zone, physical/mental health information and much more. The Library system staff will bring the STEAM (Science, Technology, Engineering, Arts and Mathematics) trunk, which includes a Button Maker, Snap Circuits, and 3D Pens for young people to enjoy. 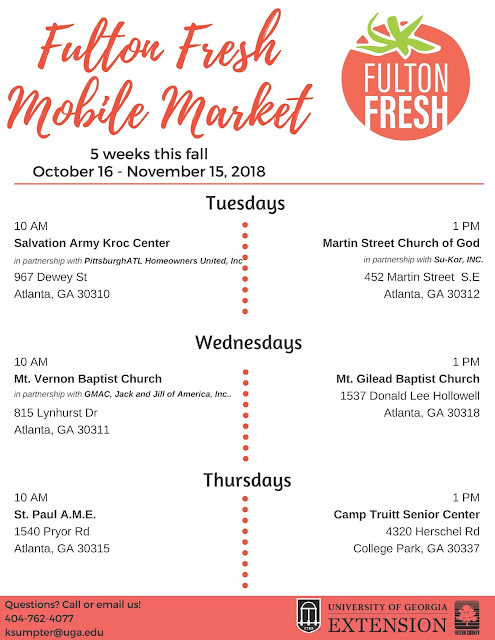 Family Day of Fun participants will also enjoy a visit from the Fulton Fresh Mobile Unit, which provides fresh produce to citizens living in areas designated as “food deserts” by the U.S. Department of Agriculture (USDA). 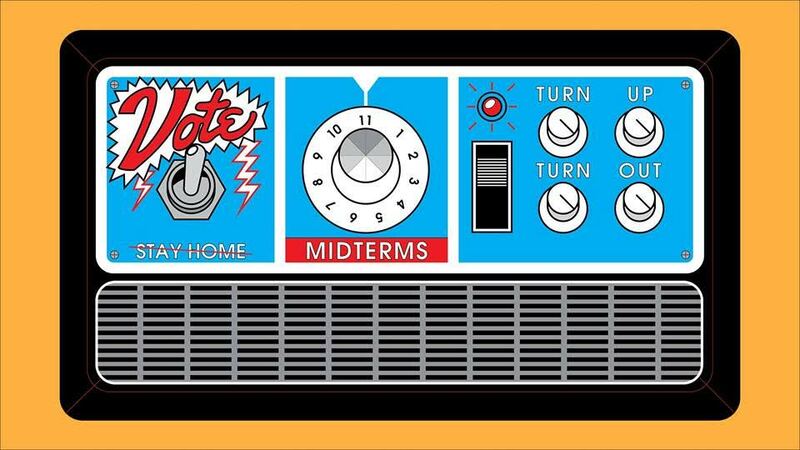 Voter registration information and absentee ballot applications will be available along with a demonstration of how to use voting units to ensure that voters are able to cast their ballots correctly. 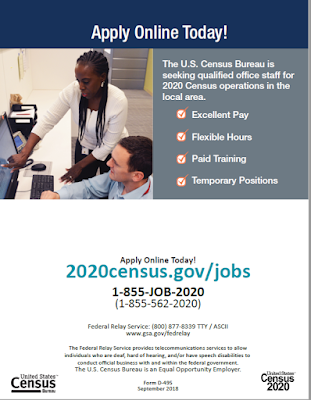 The 2020 Census is less than two years away and the Census Bureau needs your help. The Count has an impact on billions of dollars in federal funding for programs like Medicaid, Supplemental Nutrition Assistance Program (SNAP), Medicare Part B, Highway Planning and Construction, and State Children's Health Insurance. Many areas within the city of Atlanta and in the surrounding cities, are our hardest-to-count areas and had low response rates in 2010. Therefore, we need to target our outreach in those areas and hire members of the communities in those areas.